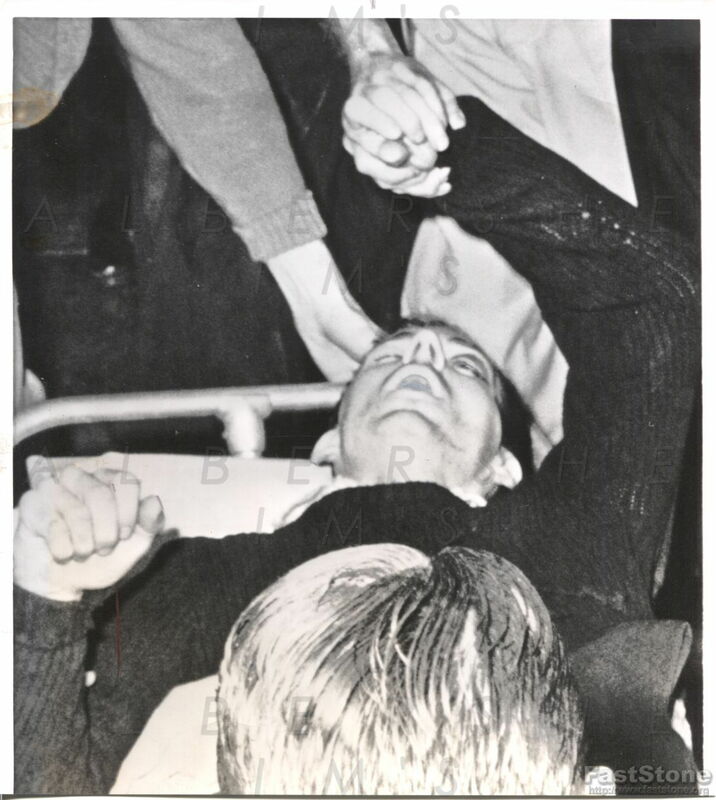 Incredible and poignant wire photo from November 24, 1963 showing a recently shot (and mortally wounded) Lee Harvey Oswald laying on a stretcher just ten minutes before his own death! Rare photo which is rarely ever seen and in nice condition overall. The look of pain and agony make you feel like you are right there in the Dallas jail! Photo measures 7.5” x 8.5” in size. Stamped on the back November 25, 1963.